The Essence Holo Wow! 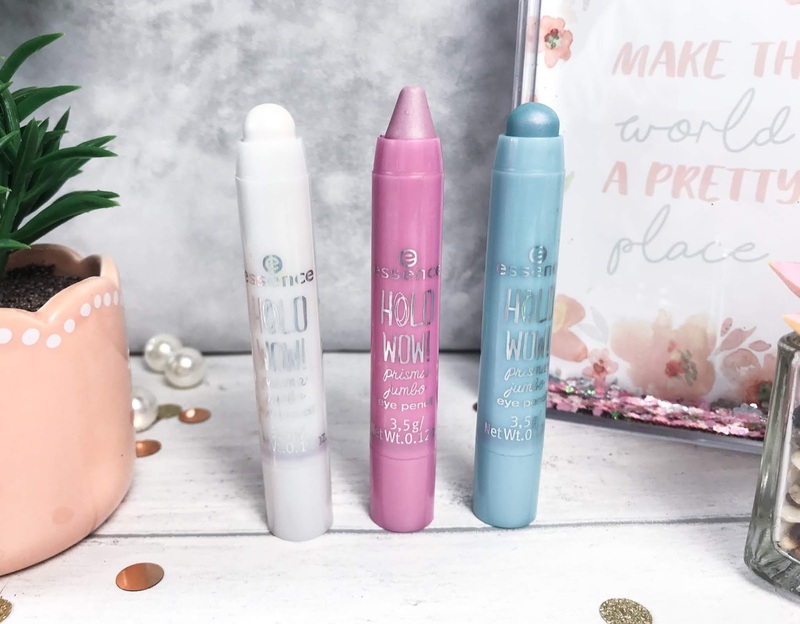 Prismatic Jumbo Eye Pens (£2.80) come in four different shades, but here I opted for 01 Midsummer’s Dream, a white base with light blue prism, 02 My Little Fairy, a light blue with light pink prism, and 04 Magic Spell, a pink with a light green prism. These really are mystifying and you can see both colours on the eyes depending which light you are in. These practical jumbo sticks are creamy and easy to blend and can be used as an eyeshadow or eyeliner to give the eyes a pop of stunning iridescent colour. 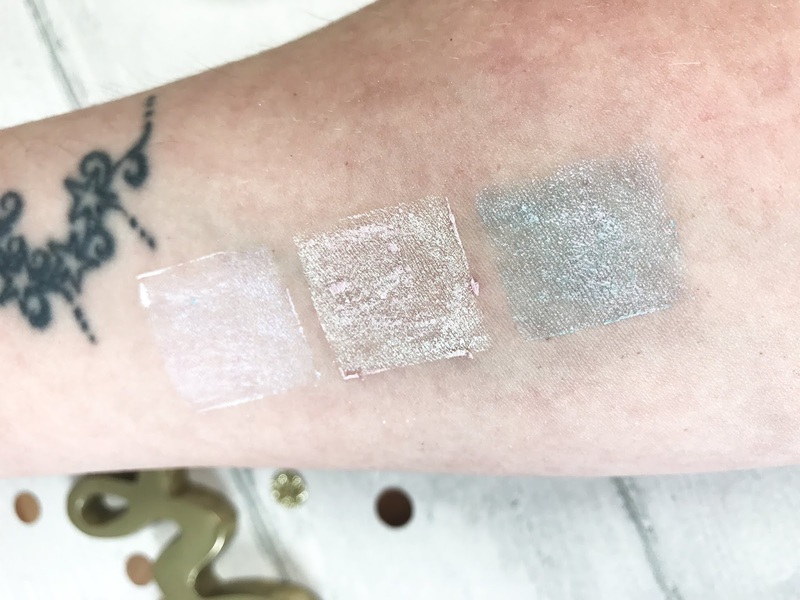 Next up we have three stick products, the first being the Essence Holo Wow! Sparkle Stick (£3.50), which as far as I could see is only available in shade 10 Sparkles in your Life, which goes on to the skin to give a soft, pink and gold iridescent shimmer. The Sparkle Stick has been created to use to highlight the cheekbones, but this could totally be used on the eyelids too as it is super soft and creamy and really easy to apply. 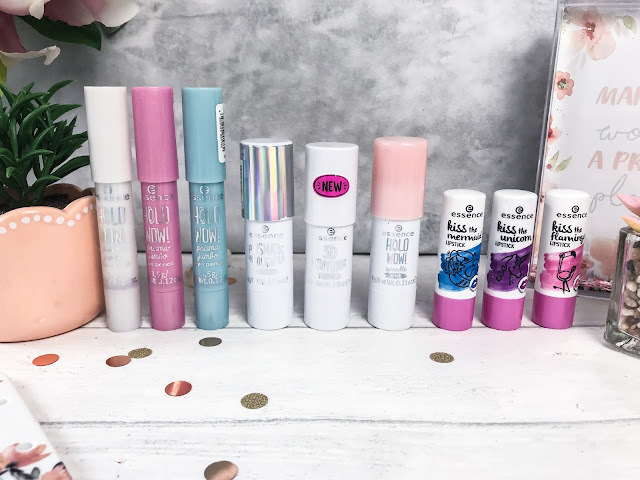 Then we have the Essence Prismatic Highlighter Stick (£3.50), which has a sheerer formula than the Sparkle Stick, but still gives a pretty light blue and lilac shimmer to the skin. My only problem with this was that the product had come away from the base, but this had happened with all of them on the shelf, but I think that is because the product is again so creamy, so that’s maybe something to keep an eye on. 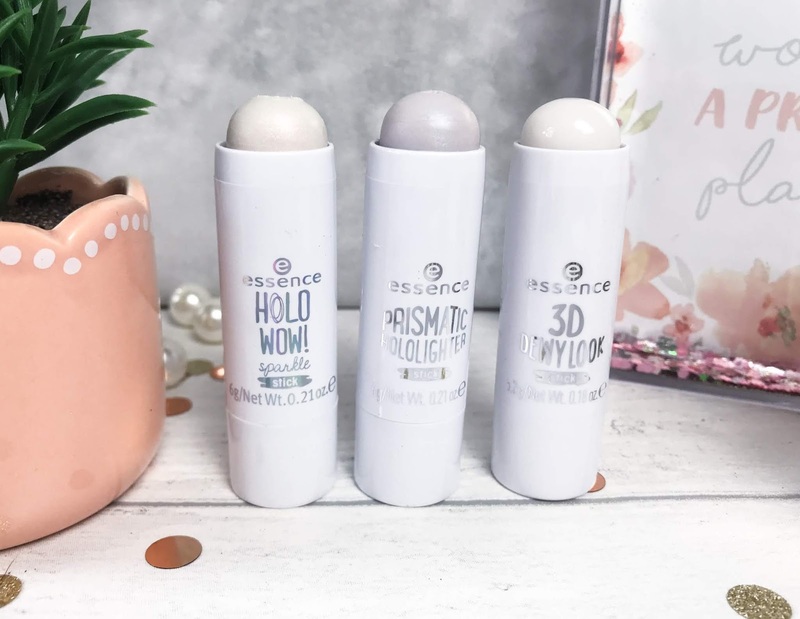 To give your skin that super dewy look, Essence has created the 3D Dewy Look Stick (£3.50), which gives the skin a healthy glow without any shimmer. 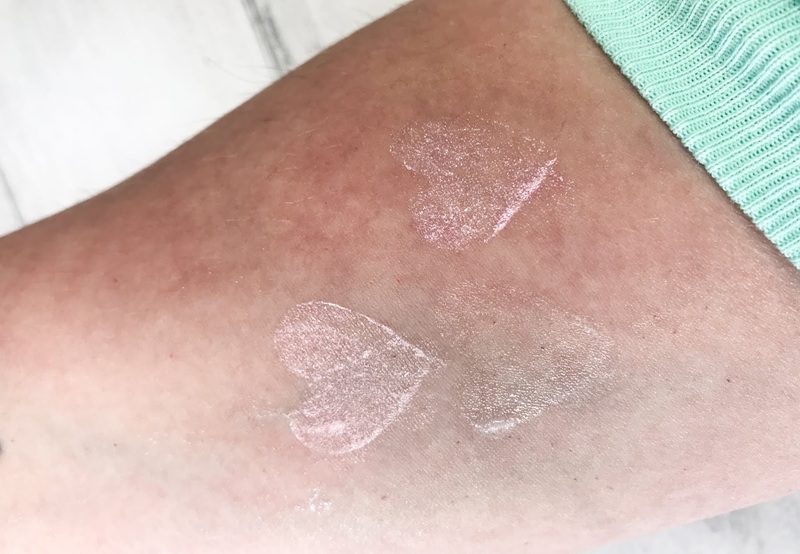 This product has been created using shea butter to keep skin nourished and gives a wet look without being greasy or oily. I think the 3D Dewy Look Stick would be perfect for applying sequins and glitter to the face. 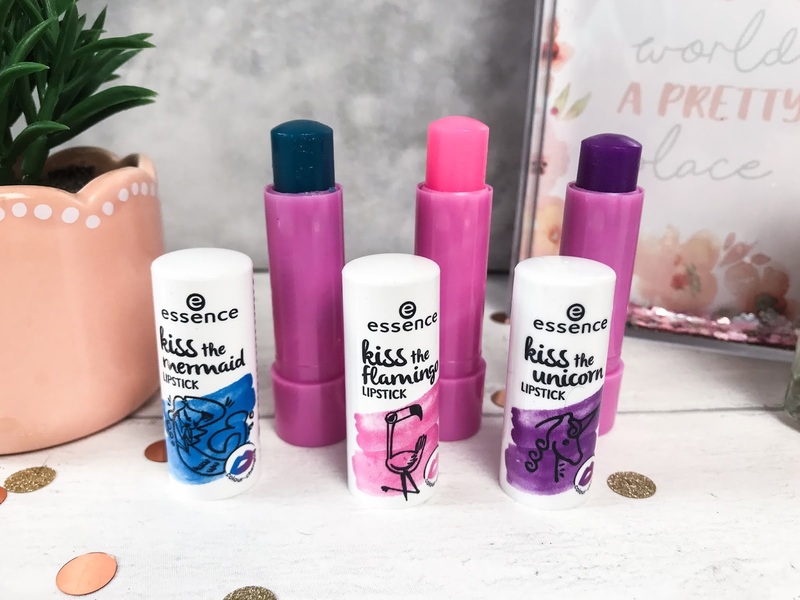 For the lips, Essence have released a range of colour changing lipsticks, with their Kiss collection. 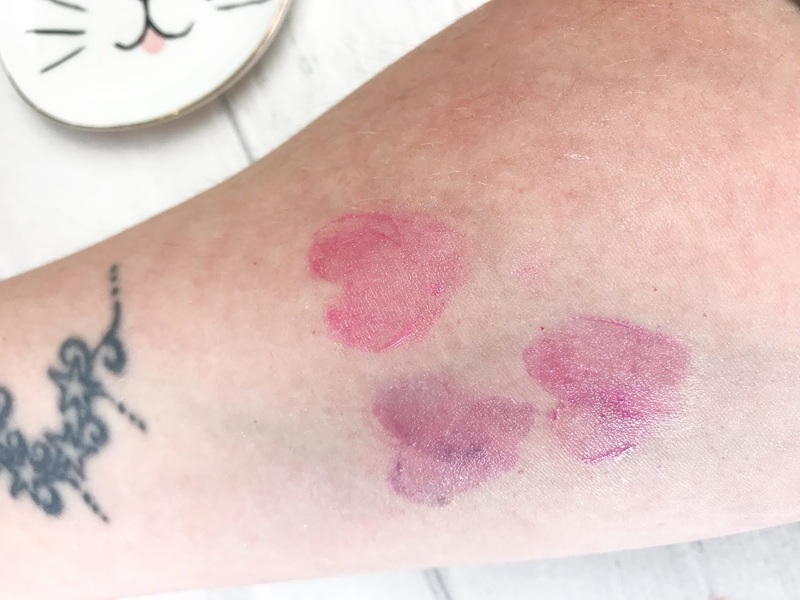 These magical lipsticks (£2 each) react to the pH value of your lips and changes colour from the vivid hues in the lipstick to something softer on the lips. Kiss the Unicorn changes its colour from purple to a unique soft pink shade, Kiss the Mermaid changes from blue to a similar pink shade to Kiss the Unicorn, but that is probably because I am testing them on the same lips! Kiss the Flamingo is my favourite as it changes from a bright Barbie pink to a softer pink with just the tiniest hint of glitter. I was really surprised with how long these last on the lips, as they give a slight stain even after the majority of the lipstick has worn off. You can find these fabulous Essence products and more instore and online at Wilko.